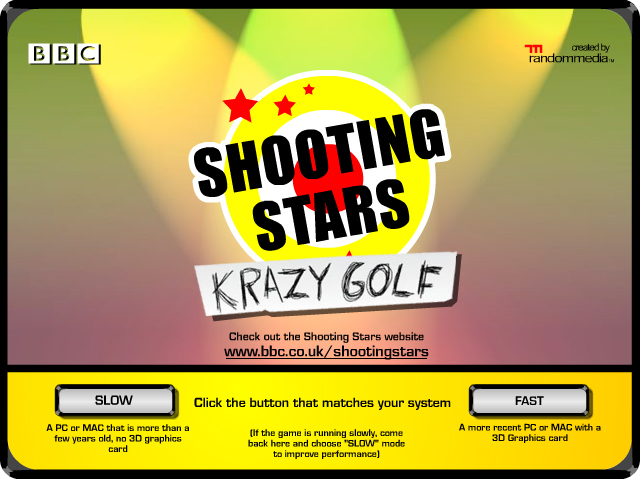 Commissioned to promote Shooting Stars for the BBC, the brief for Shooting Stars Krazy Golf browser game was to create an engaging online experience to tie in with the bizarre challenges that feature at the end of each episode. 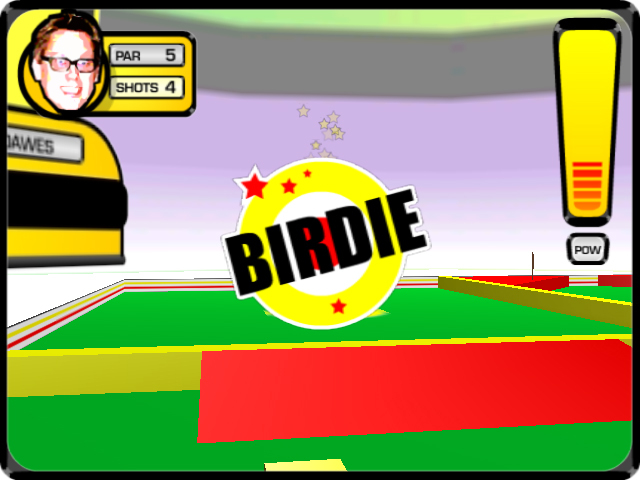 The proposed game was the result of internal R&D into the opportunities for in-browser 3D content (in its infancy in 2003). 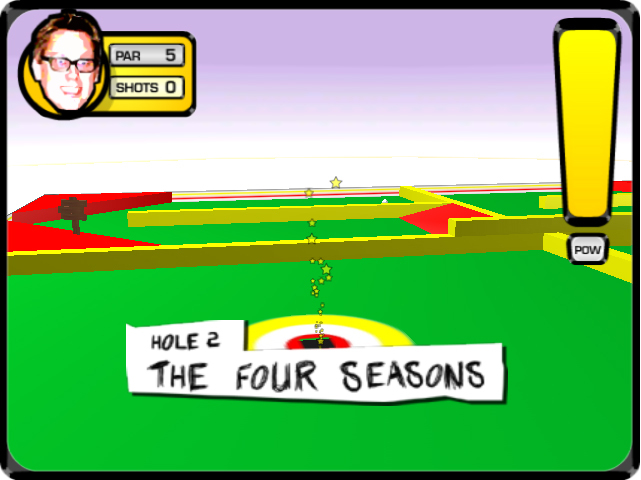 The project aimed to capture the fun and frustration of classic crazy golf, combining familiar tropes such as windmills, loops, ramps and jumps while also blending in fresh elements to make it feel more in-keeping with the show (such as the addition of spring-panels, castles, waterfalls and flaming obstacles). 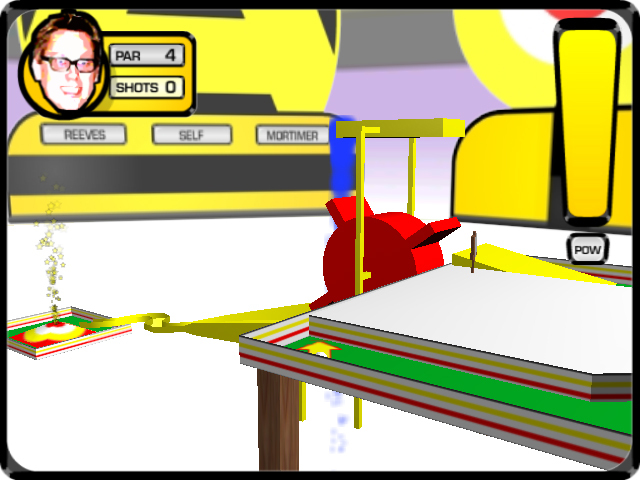 A key priority during development was ensuring that the game was easy to pick up and simple to play. These attributes are essential for any successful browser game. 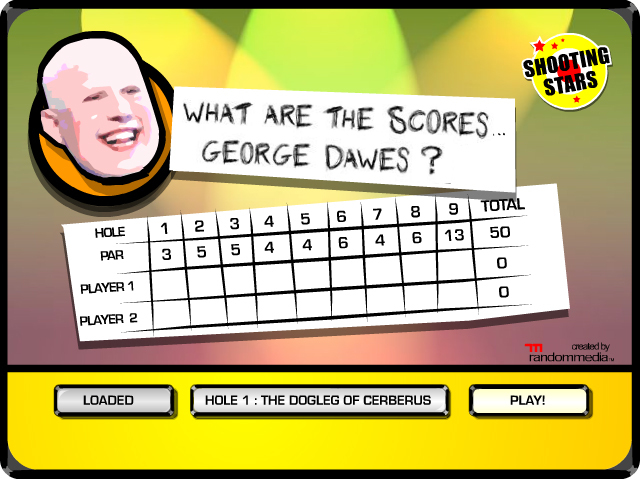 The game was a great success and was played over 700,000 times in 3 months.